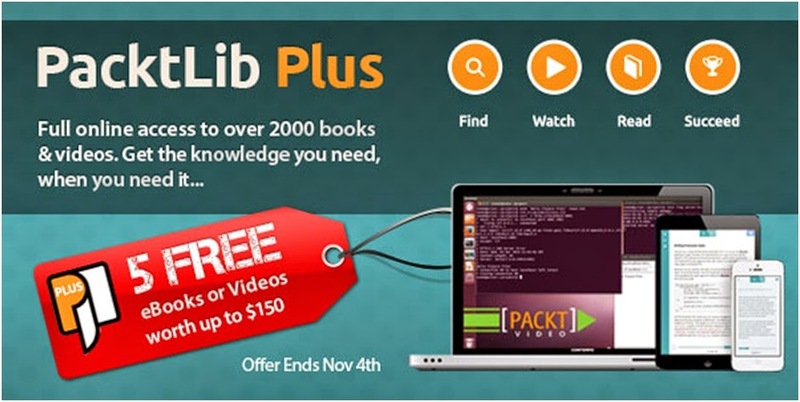 PacktLib provides full online access to over 2000 books and videos to give users the knowledge they need, when they need it. From innovative new solutions and effective learning services to cutting edge guides on emerging technologies, Packt’s extensive library has got it covered. For a limited time only, Packt is offering 5 free eBook or Video downloads in the first month of a new annual subscription – up to $150 worth of extra content. That’s in addition to one free download a month for the rest of the year. This special PacktLib Plus offer marks the release of the new and improved reading and watching platform, packed with new features. This deal expires on 4th November.